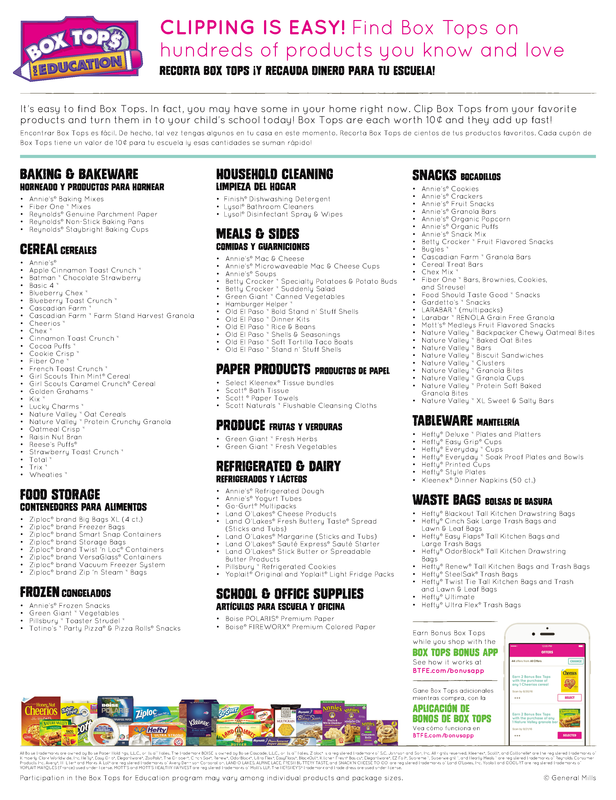 How we can earn more than ever with our Box Top Collecting! How & What to Clip! 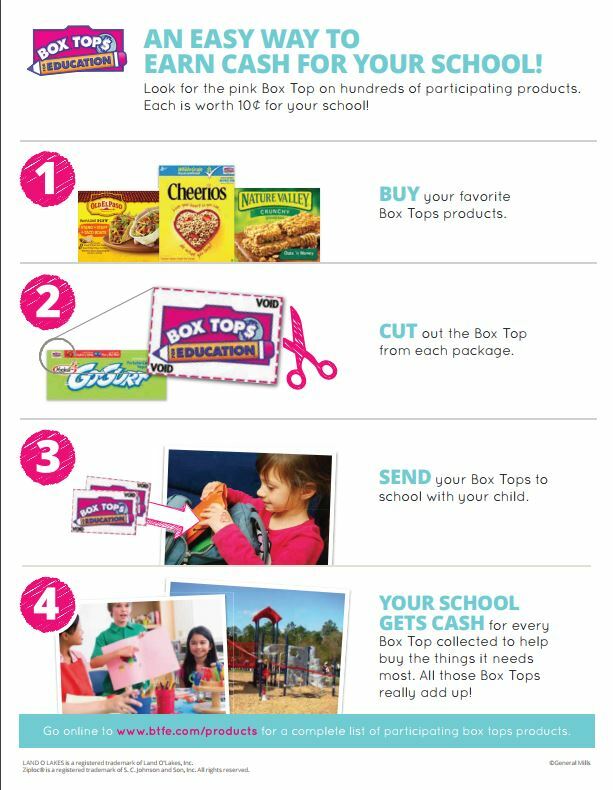 Help our school earn cash by clipping Box Tops from products and sending them to school! Each one is worth 10¢ and our school can use the cash for whatever it needs. See a list of products at BTFE.com/products. 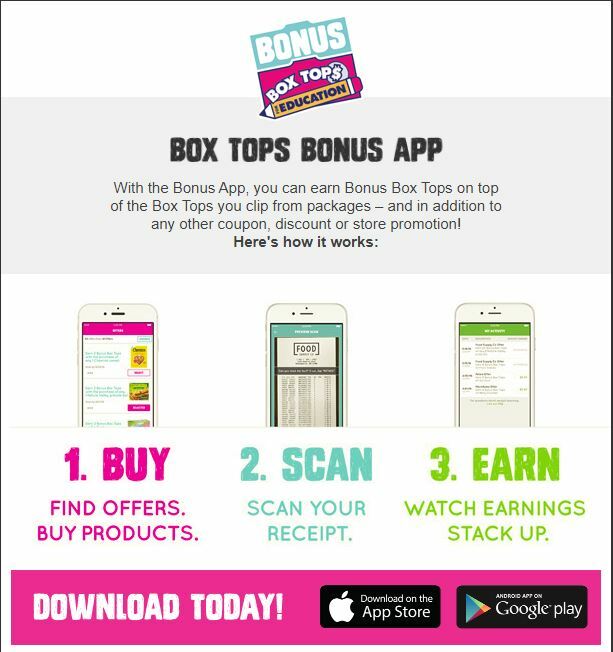 Bonus App for your Phone!! Super easy way to earn even more for Goshen!